I was prepared for this post to be about Disney fun and California adventures. The best laid plans of Mickey mice and men. Some weeks I look at my kids and think “my goodness, I know a little something about being a dad, I’m actually pretty good at this”. This was not one of those weeks. So much so that Adrienne and I just finished up a “come to Jesus” family meeting with the girlies. Let me begin with saying that a lot of readers will let me know that a lot of what happened this week rests on my own shoulders. To which I agree, but it doesn’t make me feel any less “strangle-y”. 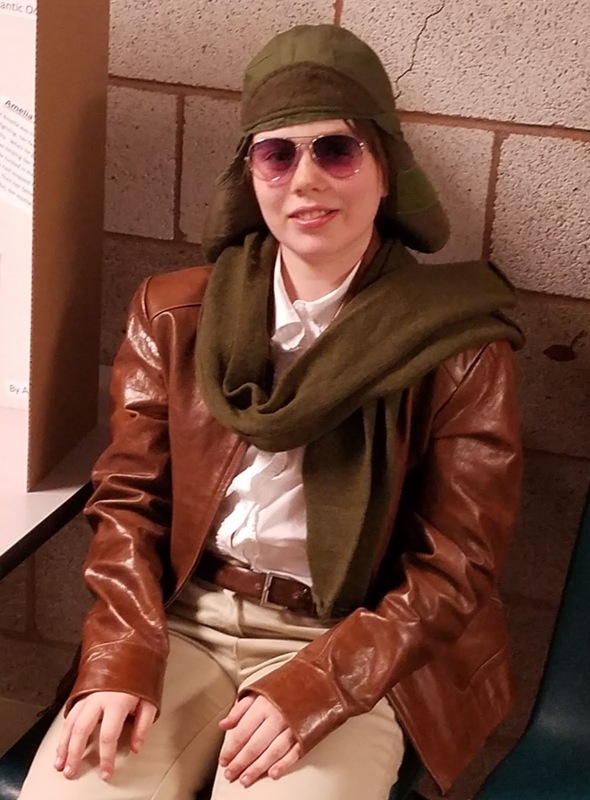 It all started on Monday when Avery announced that she had an Amelia Earhart presentation due on Tuesday. One day left, both a key to this story and a theme for this post. It is a project called the ‘wax museum’ where the kids put together a display to accompany a report they had written for class. I asked Avery what she had left, and she stated that she had the display board to put together. I would discover that she had two weeks to complete this project and she hadn’t started it yet. Admittedly, I think there is a family gene that sets a fairly high standard for clutch performance after extended procrastination. Both of my siblings and myself thrive in the last few hours of a semester. Avery handed me the paper describing the project which is where I discovered that the wax museum was not just a display board but kids in character as well. I spent a good deal of my Monday assembling a 1930’s women’s pilot costume. Ugh, but doable. Next came Macy’s immigration presentation. She was prepared, but only by dumb luck. The presentation was Wednesday but only because it had been delayed by a week. Macy discovered that fact the previous Wednesday, in the car, on the way to school, where I heard a desperate voice from the back-seat begging “Dad, I have a presentation today. 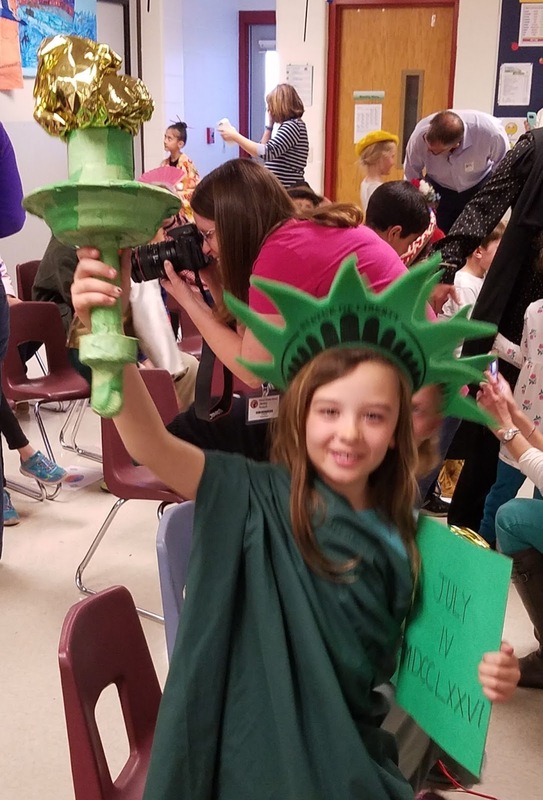 I need to dress up as the Statue of Liberty.” Adding that she also had lines to memorize for the part as well as needing to write a paragraph about where her family came from. I don’t say ‘impossible’ very often, but I did during that car ride. The only solution I had was for her to be ‘sick’ for the day. She went to school without memorizing her lines or having the accompanying costume. She was relieved to find she had seven more days to accomplish her tasks. She got lucky, for sure, but her scheduling issues did not go unnoticed for the purposes of our "come to Jesus" talk. Wednesday night went without issue, but Thursday was another story. Keeping in mind that I asked a day before if anyone had anything coming up, Darby, my youngest announced that she needed a costume for their “Colonial Festival” the next day. Crap. Then my older two followed with the fact that they had ‘twin-day’ the next day as well. Of note: Avery is on the Student Advisory Board who came up with the concept of ‘twin-day’. I feel like she should have had some concept of when it was. Like the Amelia Earhart costume, we made it happen. I picked up the girls after school on Friday for the start of spring break. I let them have the evening to celebrate the beginning of the time off. They were blissfully unaware of the trouble waiting for them just twelve hours later. We began reading the riot act around noon, we finished around two. Truth be told, we lectured a bit, but voices never really raised. The way my wife put it, occasionally a family needs a reset. A reboot, to get away from old habits and reinstall better ones. I suppose it was an upgrade for our children. And to what I said earlier about a lot of this landing on my shoulders. It does. There is an ebb and flow to parenting that can lull you to sleep. You trust that the kids are doing what they are saying they are doing and what they are doing is what they are supposed to be doing. You trust them because they always have done it the right way. Coincidentally, they also got their report cards on Friday and are all doing pretty well. The lesson here? There’s a few, actually. First of all, we can all use a ‘reset’ from time to time. We actually need it. To take the time to take stock of what’s working and what’s not. To ask what makes us happy and what doesn’t. The second thing is about pride. It’s tough to do a great job at the last minute. Not impossible, but unlikely enough that it isn’t the advised method of operation. The more pride you take in what you do, the less likely you are to put it off until the last minute. It goes for everything. Sports, school, work, whatever. The more pride you take in something the better the results will be. I can think of at least ten places where that applies to my life. I’d better go for a run.